Culture | The cafe interior mirror visually expands the space visually. The cafe interior mirror visually expands the space visually. 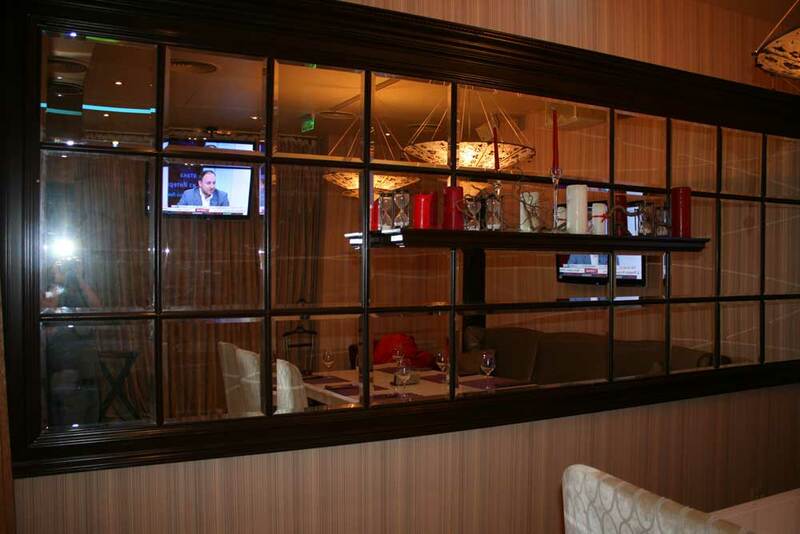 Mirror column in the interior of the cafe looks like a separate element of the interior.Two cone-shaped lamps in the Chinese style make the setting in a cafe a more private and intimate.